* For 30″ x 50″ framed prints, call for details and custom ordering. 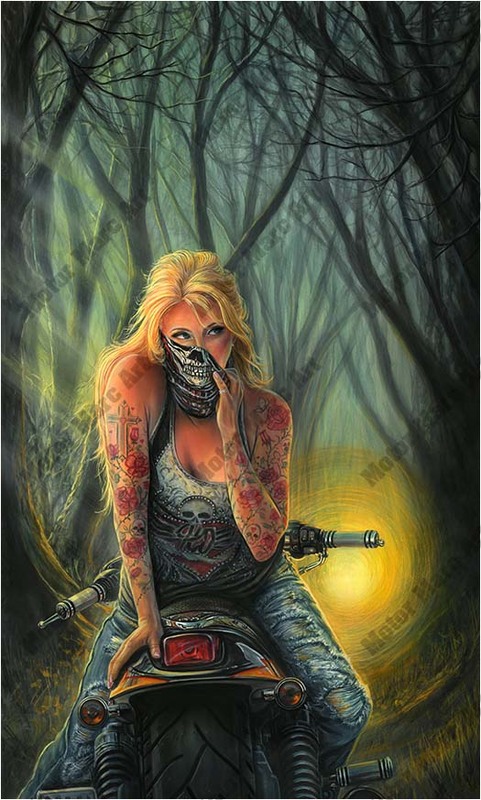 Media Size Choose an option16" x 24"18" x 30"22" x 36"30" x 50"
Risen from the dead, a mysterious biker condemned for her beauty roars her engine as the speed of her wheels race her to safety where trees stand tall hiding her from the city limits. The glowing moon peeks through the trees giving life to the roses that cover her body as she peels back the layers that hide her true beauty for the only one coming up the dark path to see. 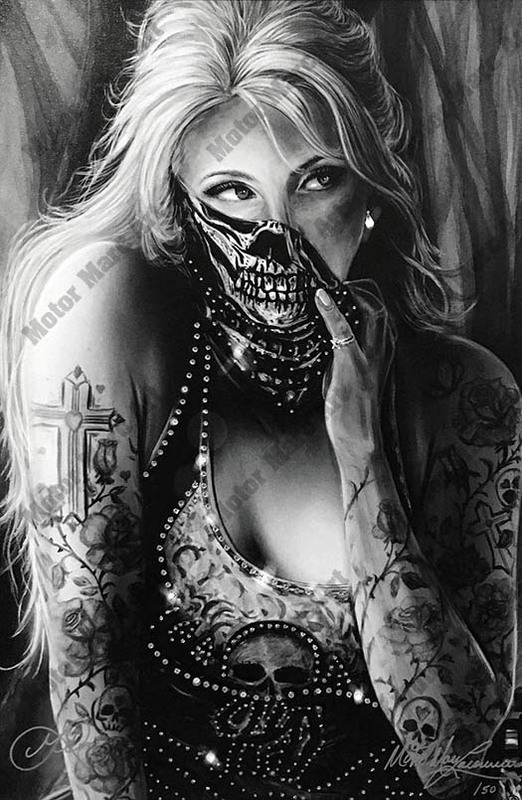 A mysterious blue-eyed girl hidden by a masquerade of skulls and roses peels back the layers that hide her true beauty. A black and white embellished series with Swarovski crystals. 16" x 24", 18" x 30", 22" x 36", 30" x 50"